The easiest and cheapest way to get to Europe is booking a flight to to the largest and most frequented airport hubs in the region. The major city hubs include London, Amsterdam, Rome, Madrid, Barcelona, Paris, Oslo and Frankfurt. From there, you can book a local flight to a regional airport, or take a bus, train or car to your final destination. Being fully flexible is the best way to find cheap flights. Flying in the summer will likely be more expensive than in the spring and fall. Be sure you first use search engines such as Skyscanner or cheapticket.com. They give you the otion to search flexible dates and nearby airports. If you want to fly to Amsterdam you might find cheaper flights to Brussels or Dusseldorf available. Start looking for flights well in time before departure. The change of finding really great last-minute discounts on flights is really small, the earlier you book, the better fare you will find! First you go to goeurope.com and start your search. You get the options for Trains, Buses and Flights all at once, making it easy to compare not only the fare, but also the duration of the offered option. 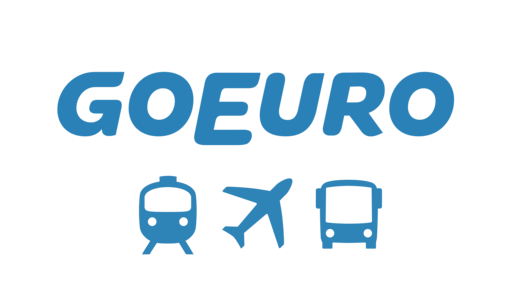 GoEuro has rates that you will not find if you book on the individual websites. It's a great way to find out the option that you have to travel accros Europe. By far one of the cheapest ways to travel long-distance in Europe is by budget airline. TIP: Always search the number of people you’re looking to book for instead of 1 ticket at the time. Most of the time, 2 is cheaper than 1 + 1! Do note with these very inexpensive airfares, you do 100% get what you pay for! This means limited legroom, lousy service and additional costs for everything. You pay extra for your bags, your in-flight meals, your seat reservation and everything else. So be sure to familiarize yourself with each airline’s rules and hidden costs, to make a good comparison with the other options that you might have, such as the bus or train. Cheap Inter-Europe flights will maybe win you time and even money but might not necessarily win in comfort and fun. If you make a comparisson, don't forget to take the time you spend at the airport into account. You will spend 2-4 hours there easily. There are several bus companies that will get you around Europe really cheap. FlixBus is based in Germany, but offer routes in 20 European countries and thousands of cities, with prices starting as low 5 euros. Their buses include Wi-Fi, electrical outlets, up to three free bags, and comfy seats. Megabus will get you from the United Kingdom (England, Scotland, Wales) to Paris, Brussels, and Amsterdam, and vice versa. It also offers a cheap way to get around the United Kingdom. Eurolines serves 600 destinations, covering the whole of the continent, including Morocco. Eurolines prices usually start at around 20 euros for a 5-6-hour journey. The German train website has train times and routes for many more countries besides Germany. It’s really easy to use and there are great deals in Germany for a group of people traveling together too. If you are traveling as a couple, a family or in a group of four, car hire might be a cheap option, provided you return the car at the same place you pick it up. Hiring a car in Europe gives you flexibility and independence. Be sure you understand the fuel and insurance policies to avoid being scammed at the rental desk. It is my personal experience; Car rentals are offered cheap but when you pick up the car all sorts of hidden costs are charged. You want to leave and start your holiday, so you are bound to pay, just to get away from there. Tip: If you already have your excess insurance in place, you do not need to buy the rental company’s excess policy.